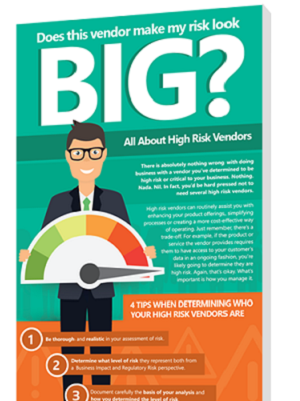 DOES THIS VENDOR MAKE MY RISK LOOK BIG? There is absolutely nothing wrong with doing business with a vendor you’ve determined to be high risk or critical to your business. In fact, you’d be hard pressed not to need several high risk vendors. What's most important is how you manage high risk vendors.